Any economics that does not deal forthrightly with economic inequality is no longer suitable for the twenty-first century. Similarly, any economics which does not provide a coherent way to integrate environmental sustainability into economic analysis will fail to command allegiance in the century ahead. This book demonstrates how the Sraffian framework provides important advantages in both areas. 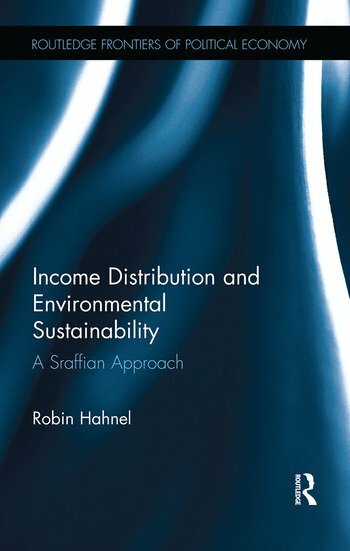 Divided into three chapters, Income Distribution and Environmental Sustainability provides a rigorous exposition of Sraffian theory emphasizing what it means for the economy to be productive, extends Sraffian theory to address environmental sustainability, and adds a normative theory of income distribution to Sraffa’s positive theory. In Chapter 1, a rigorous version of the basic Sraffa model is presented which focuses on what it means for the economy to be capable of producing a physical surplus, explains the origin of profits, and shows how to measure changes in overall labor productivity resulting from any technical change. In Chapter 2, the basic model is extended to incorporate primary inputs from the natural environment, rigorously measure changes in environmental throughput efficiency, and establish sufficient conditions for environmental sustainability. In Chapter 3, an explicit "normative" theory of economic justice is elaborated which is a natural extension of Sraffa’s "positive" theory of income determination and consistent with modern egalitarian literature on distributive justice. This book is of interest to academics and students who study political economy, economic theory, and philosophy, as well as those interested in the work of Piero Sraffa. Appendix A: Proofs of Mathematical Theorems. 3.1 It’s the Economy that’s Productive, Stupid! 3.4 What Counts: Contribution or Sacrifice? Appendix B: Reward for Effort and Modern Theories of Distributive Justice. Robin Hahnel is Professor Emeritus at the Department of Economics at American University Washington DC, USA, as well as the Co-Director of Economics for Equity and the Environment.